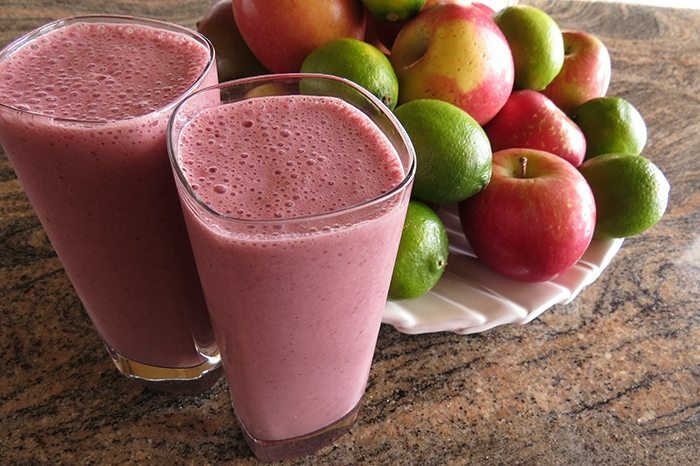 There is nothing that I love more in the summer than a cold smoothie after a tough workout. The frothy mixture hits your lips, cooling you down while the carbs and protein help your body to rebuild. Delicious, delicious recovery. 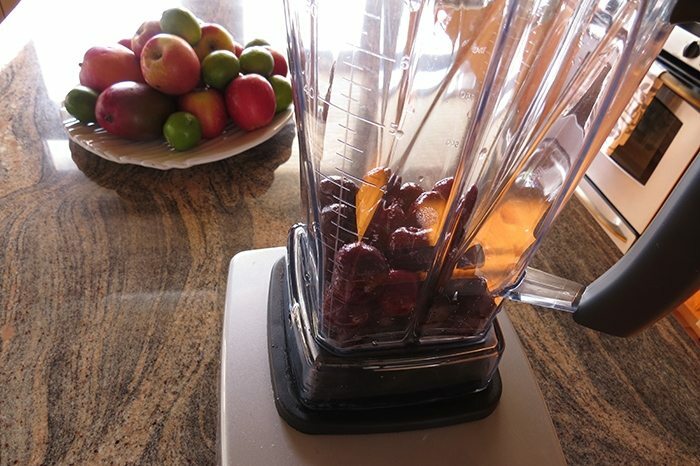 After working with Amber of Pump and Shred, she pointed me in the direction of my new favorite recovery smoothie recipe, a chocolate and cherry mixture that tastes like a milkshake. I’m into drinking green smoothies just like all of you other sweat-lifers, but there are other colors that can come out of your blender that can do the job. This one is cherry red. Great news about cherries: these tiny pitted pieces of happiness have been shown to help athletes recover faster. That’s a big score for mother nature. Whole Foods and Trader Joe’s both carry bags of pitted frozen cherries, which Hubs and I have a habit of eating for dessert. Think of me when you’re enjoying nature’s dessert. This particular smoothie packs a protein-heavy punch, using your favorite protein powder to get in more of your daily grams on top of the protein in the almond milk and PB2. My protein powder of choice is Jay Robb Egg White Protein because whey protein and my stomach are not friends, but you can use a scoop of your favorite protein powder in its place. If you look closely, you’ll notice that I’ve doubled the recipe. Hubs does NOT appreciate being left out of smoothie time. Don’t worry. He too knows how to rock a mean recovery drink and can load up the blender when its his turn to make the post-workout drink. #soulmates. Directions: Seriously, laughably simple. Cleaning up is always the hardest part. Step 1: Load up your blender with your frozen ingredients first. 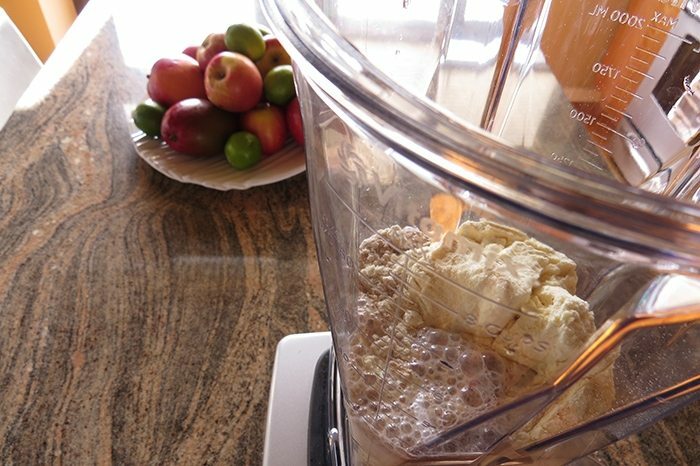 Step 2: Put your dry ingredients – PB2 and Protein powder – in the blender. Add the Almond milk last. Step 3: Blend, pour and enjoy. Your life, morning and post-workout routine just got better. Let us know if you tried this simple, but delicious smoothie in the comments OR if you have your own smoothie soul mate. All of the above, obviously. So that’s why you had all those cherries. Looks awesome.